Deutsche Welle's 2010 The Best Of Blogs (BOBs) international award has a significance for the Bangla (Bengali) bloggers in Bangladesh, India and the Bengali diaspora around the world. In its 6th round of blogging competition Bangla language blogs have been included in the BOBs [bn] for the first time. With approximately 230 million speakers, Bangla is one of the most spoken languages in the world. This award is significant in a sense that we have not seen any successful nationwide best of Bangla blogs competition in Bangladesh or in India till-to-date. Among the 11 Bangla blog nominations we have a mix of prolific bloggers with different backgrounds, including Global Voices Bangla Lingua translator Kowshik. Today we are introducing Ali Mahmed (Shuvo), who writes from Gangasagor union in Akhaura Upazila, situated in the Eastern border of Bangladesh. 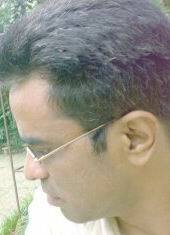 Ali Mahmed is currently leading among the Bangla Blog nominees on the basis of readers votes. I am translating below an email interview with Ali Mahmed, which discusses about his blogging and the blogging scene in Bangladesh. GV: Would you please introduce your blog and tell us what kinds of topic you cover? The answer is very difficult for me. What I try to do is to accumulate all my ideas and try to write about them, continuously. And writing in blogs is blogging! But I am not sure whether all my writings fall in the criterion of “traditional blogging” as I do not follow any tradition. Like one day I wrote about the betrayal of men to the mosquitoes [bn], then the next day on a mummy elephant [bn] – which is a mother first and an elephant next. The day after I would write about a religion [bn], and on a science related [bn] issue on the next day. That's why I mentioned at the beginning, the question is hard to answer. GV: You are basically a writer. When did you start to blog and why? কেন ব্লগিং শুরু করলাম এটা অল্প কথায় বলি, আমি তো আগেও লেখালেখি করতাম। ওখানে ব্লগিং শুরু করার পূর্বেই বিভিন্ন পত্রিকায় লিখেছি, তখন পর্যন্ত আমার বেশ ক-টা বইও প্রকাশিত হয়েছিল। কিন্তু ওখানে এসে লেখার শক্তি দেখে হতভম্ব হয়ে গেলাম। ফারাকটা টিভি নাটক এবং মঞ্চনাটকের যে তফাত, এমন! একেবারে লাইভ, জীবন্ত! I don't acknowledge myself as a writer – I term it a mason of words. A mason builds a structure with bricks over bricks – likewise, I try to arrive at a structure with my craft on words. When a reader touches my lifeless house of words, it transforms into a sparkling palace. I started blogging in February 2006. I read about the (first Bangla blogging platform) somewhereinblog.net site in a newspaper and it began. This site has done wonder in giving the privilege of blogging in Bangla in this country. I express my sincere gratitude to them on behalf of my fellow countrymen. This was also vital for the diaspora community – they could find a breathing space here – the smell of a hand-full of mother earth from home. The effect is unthinkable and difficult to fathom. Why I started to blog – I will be short – I was writing before I started here. I wrote in a few newspapers and had already published a few of my books. But I was stunned to see the power of writing when I started blogging. The difference is like between a television drama and a theater performance. Its live, very active. You cannot get away writing in a blog – a reader can react within 5 minutes. If you write anything wrong you will be caught. 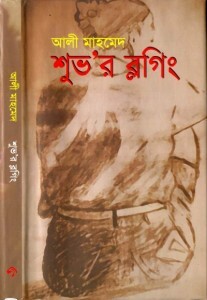 GV: In 2007 your book “Shuvo's Blogging” was published. 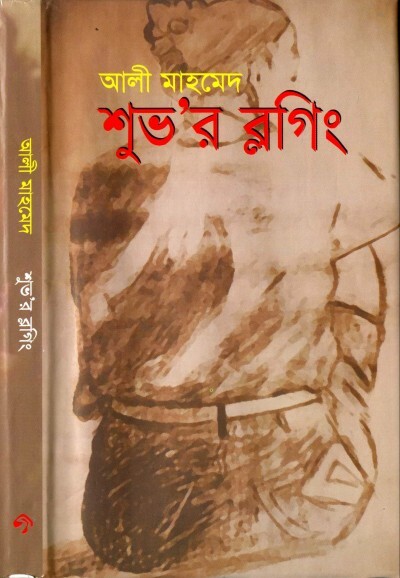 It is deemed as the first book in Bangla on Blogging. What motivated you for this feat? There was not a definitive reason for publishing this. I wrote a lot in somewhereinblog.net during the first year. I had many favorite write-ups there and some of them were widely discussed in the comments section. My idea was to include those comments, but it would need at least a thousand page – no publisher would have been interested. So with all those limitations the published book consists of only a number of blog posts. GV: You started writing in a community platform – and now writing in your own site. Please let us know the difference. কমিউনিটি ব্লগিং-এর বিপুল শক্তি হচ্ছে এর পাঠক। সামহোয়্যারে বা অন্যত্র লেখার সময় এমনও দাঁড়িয়েছে আমার কিছু পোস্টে হাজারেরও উপর হিট ছাড়িয়ে গেছে, যেটা আমার নিজের সাইটে অকল্পনীয়। কিন্তু কেবল হিটটাই বড়ো কথা না, অনেকের মন্তব্য পড়ে বোঝা যেত আদৌ তিনি লেখাটা পড়েননি! কমিউনিটি ব্লগিং-এ যে সমস্যা আমাকে ভারী বিব্রত করত, তা হচ্ছে দলাদলি। বুশ স্টাইল, হয় তুমি আমার দলে নইলে খেলা থেকে বাদ। এতে আমার প্রবল আপত্তি ছিল, এখনো আছে। আসলে এটা হচ্ছে আমাদের দেশের কালচার। এখানে জন্মের পরই আলাদা করে ফেলা হয় একটা প্রাণ পশুর, না মানুষের বাচ্চার? এরপর ছেলে, না মেয়ে? কোন ধর্মের? বাড়ি কোন এলাকায়? পরিশেষে কোন দল করে? কালে কালে এটা আমাদের শেখানো হয়েছে! অনলাইনে লেখার সময় আমি ভয়ে কাঠ হয়ে থাকি, এই রে কোথাও ভুল লিখে বসলাম না তো আবার- প্রচুর পড়তে হয়, হাতের নাগালে তথ্য-উপাত্ত রাখতে হয়। এখানকার পাঠক কিন্তু আমার উপন্যাসের টিনএজ পাঠক না, দুর্ধর্ষসব মানুষ, যারা প্রবাসে গেছেন উচ্চশিক্ষার জন্য। এঁদের রয়েছে চিন্তা করার বিপুল ক্ষমতা! The power of community blogging is the readers of the community. When I wrote in Somewhereinblog.net or elsewhere it happened that a few of my writings got thousands of hits within a short span, which is unthinkable for my own site. But only the hits are not important, I received some comments and I knew that they have not read the whole post. The problem in the community blogging (in Bangladesh) is grouping (and acrimony). Its Bush style, either you are in my team or out of the game. I objected about this, I still do. Actually its the culture of our country. We are being segregated from the birth – is this the life of a human or an animal? Then is it a boy, or girl? Of which religion? Where is the domicile? and last which political party (s)he belongs? We were taught to think like this. I feel scared when I write online – whether I am making any mistake. I have to read much – have to keep the statistics, links ready. The readers here are not the teenage readers of my book – they are very knowledgeable, some have traveled abroad for higher studies. They have got a higher power of thinking! I don't know about others, but this created much pressure on me. When I write in my own online space, I feel much relieved. There is no extra pressure. My loyal readers come here to basically read my articles. I can express my ideas with them, like the idea of adding a rear view mirror on a bamboo [bn]. I can share my dreams, I can correct my mistakes. GV: Please share your ideas of the blogging scene in Bangladesh. আমি প্রচন্ড মুগ্ধ! এক কথায় দুর্ধর্ষ, এখানে ব্লগিং-এর নামে যেসব লেখালেখি হয়, অনেকের লেখা পড়ে, তাঁদের ভাবনার প্রসারতা দেখে আমি থ হয়ে যাই। পারলে এদের হাত সোনা দিয়ে বাঁধিয়ে দিতাম। আমাদের দেশের যেসব বিখ্যাত লেখকগণ রয়েছেন এঁরা কল্পনাও করতে পারবেন না, এখানে এমন অনেকে লেখালেখি করেন তাদের লেখার-ভাবনার কী গভীরতা! I am really enchanted! Its simply very powerful, I am spellbound to read some of the writings, and the depth and richness of the bloggers’ thinking. If I could I would cover their hands with gold. The popular writers in our country can never dream of the depth and skills some of these (unknown) bloggers have. GV: In a country where there are 40% illiterates, how do you see freedom of expression as a tool of establishing democracy and can blogging play a role here? Its difficult to provide an answer quickly. If you say yes then it would be exaggerated. 40% people are illiterate and only a small portion of population uses internet. Moreover for many of those who are leading the country – neither they have time to read these, nor they have the competence. GV: How do you feel to be nominated in an international competition like BOBS? Of course its very pleasing. But I am a backbencher – so I get confused when I am pushed in the front bench. GV: Please tell the Global Voices readers how reading the Bangla blogs will benefit them? I will say it the other way round. You cannot measure which country is more civilized by its gold reserves or the number of missiles. I think you can measure it from the thinking of the citizens, which can be read from their writings known as blogs. How can we learn about the thinking of the people from a country? From print or visual media? No. We can only learn about bloated thoughts from them. To learn about genuine opinions there is no alternative to reading blogs. It does not matter which country the blogger is from, Bangladesh or Congo. The only thing matters is the expressions of opinions of citizens. Now a days the predominant literature of the world is English literature (US & UK). Movies are predominantly from US (Hollywood). So to prevent blogging from getting monopolized we need to translate blogs of different languages to other languages of the world. GV: Your six year old son has started blogging. How do you feel about it? অনুভূতিটা অন্য রকম। আমি আমার সন্তানকে ব্লগিং করা দেখিয়ে দিয়েছি। আর সে আমাকে দেখিয়েছে এটা, সে ৬ বছর বয়সে ব্লগিং করে আর আমি ২৭ বছর বয়সে প্রথম কম্পিউটার ছুঁয়ে দেখেছিলাম! The feeling is different. I just briefed my son how to blog and he has picked it up. He is blogging at the age of 6 and I touched my first computer at the age of 27! The voting at the BOBS ends on April 14th. So if you are a Bangla speaker please read these blogs and don't forget to vote for the best within next Wednesday. Update: For our non-Bengali speaking readers here is a link to some of the blog posts of Ali Mahmed in English. Great interview and good initiative to introduce the champions of Bangladeshi Bloggers. The interview is a delight to read. All the best to Ali Mahmed.